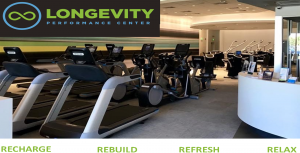 Longevity Performance Center brings together advanced technology, artificial intelligence, and scientific algorithms to create a new approach to health, wellness and fitness. We’ll use your past and your present to guide you into your future. We will help you to Live. Longer. Better. Age in reverse with therapeutic light and infrared services. 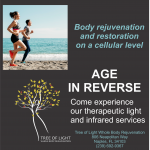 Providing therapeutic light and infrared services to promote body rejuvenation and restoration on a cellular level.